1. So, as we do with serious matters of state, we have earned yet another set of stripes in the league of an extraordinary oddity by using police force passing as an investigation into a matter that is purely one of legality, negotiation or even diplomacy. 2. What exactly were the Police looking for from the house of former power minister, Kwabena Donkor by taking away his electronic gadgets? How the extra $150m on the Ameri deal was arrived at or whether that extra money was shared among some supporters of the deal? 3. 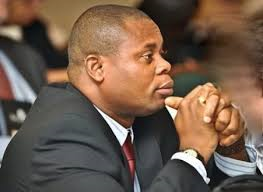 Second oddity is the attempt by a member of parliament, Mr. K.T Hammond to introduce a motion in Parliament to reverse the Ameri deal when it had been passed by the previous Parliament. Is Parliament able to sidestep a transaction with legal consequences that easily? Wouldn’t either a court one of the best avenues to settle this matter? Or better still as IMANI has always said, negotiation with Ameri since the legal implications are that we are most likely to lose, as we have always done, with similar international litigations. 4. Don’t we ever learn that such inordinate methods to dealing with such matters send negative signals to the international investor community that in Ghana, when we have problems with international transactions, all we do is to use police force and the law-making body to reverse these transactions? 5. IMANI painstakingly dismembered what many in Ghana thought was a complex deal that Ameri was. IMANI proved that even under emergency considerations, Ameri’s eventual pricing of power at 63pKWh was too steep when other power plants with more generating capacity were priced averagely at 39KWh. 6. Let us face it folks, the Ameri deal was simply incompetently done by former government officials who did not exhaust all the market research and analysis to be guided by the price we should have paid. Frankly, we did not need Ameri at all in the deal had we bought the aero-derivative plants for $350m ($220m planta +$140m installing cost) from the Greek Power company, Metka. Ameri’s involvement as a deal maker, who simply took Ghanaian power officials to Metka cost us an extra $150m. Yes, these things happen, but not at the expense of making super abnormal profits of almost half the original price of products. Were it a normal private enterprise deal, the board of a company that approved such a deal would have faced the wrath of shareholders and heads would have rolled. Unfortunately, this type of deal could only be pulled off for a country whose officials are almost all the time in a hurry to please their political power base and in the process parade insufficient men in technical acumen to negotiate simple deals. 7. We still maintain that the best way out of the Ameri matter is for the government to sit with Ameri and negotiate a reduction in the abnormal profit of $150m that Ameri made. We are yet to hear that such rapprochement has been made and it was rejected by Ameri. 8. Meanwhile, we are advising the current power ministers to be extremely cautious negotiating further power deals with all players in the Ameri deal, Metka included, until we have resolved this matter. 9. And from all indications, it does seem only the President of the Republic will have the final say in the Ameri matter especially as it was a political crucible used during the elections against his opposite number at the time. I will say to the President that it doesn’t hurt to negotiate with Ameri to save Ghana some money even if your opponents might say, you couldn’t jail anyone as was promised. Mr. President, you would have proved to be a better deal maker and the investor community will have more faith in doing legitimate business with your government. Think about these things.